Spectrum is a privately held company that has been in business since 1986. 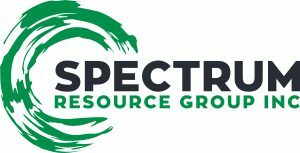 Over their many years in operation, Spectrum has distinguished itself from its competitors by developing a highly-educated workforce of professionals who use their years of experience in the field to deliver an inter-disciplinary approach to vegetation management. Spectrum prides itself on being results-oriented, socially responsible, safety conscious and on its prominent record of achievement in bringing innovative new technologies and practices into the field through investment in leading edge research and development.